Gippsland Boat Training offer a 4 hour course (including assessment) for the compulsory Victorian marine licence (boat) and PWC (jet ski) endorsement. Catering to all ages 12 years and upward. No prior knowledge, study or experience necessary. We service the Gippsland areas from Lakes Entrance to Traralgon. Bookings essential. Now Confirmed – Please note from the 18th December 2017 a person under 16 years is not eligible to obtain a personal watercraft endorsement. Next courses: 6th of April & 3rd May - Book now! 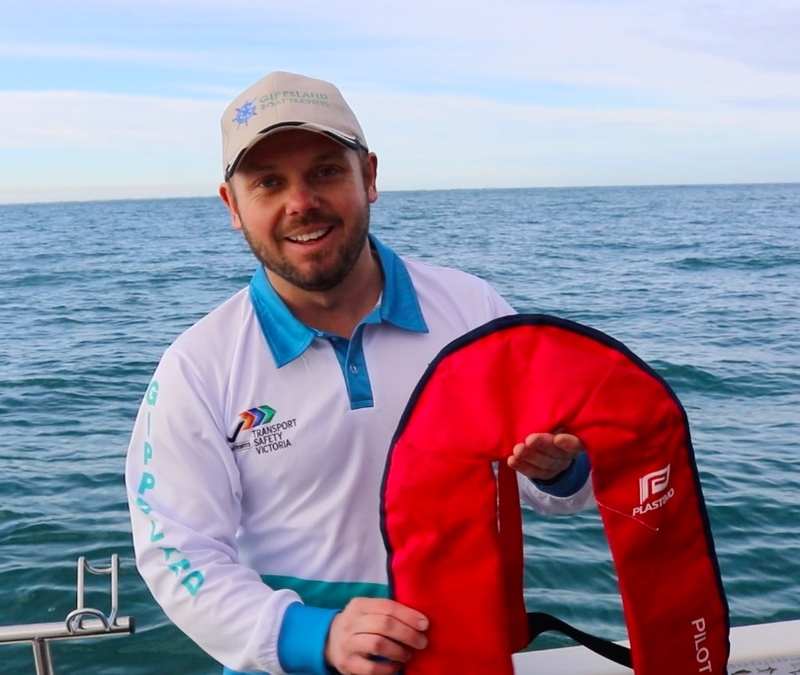 Our Trainer Ryan is over the moon to talk anything “on water or boating” & loves to present these courses in the easiest way possible, so you the student walk away with all the knowledge you need! Plus a few extra handy hints for on the water! Got Some general question not related to the test? Great Ryan is happy to chat to you after the course to help you with your boating and jet skiing questions! Here at Gippsland Boat Training we also offer a pay once learn for life guarantee, come back any time and sit a refresher course for FREE! Our motto- LEARN IT, KNOW IT, USE IT! Gippsland Boat Training offers Marine Licence Training for the compulsory Victorian Marine Licence (Boat) & PWC (Jetski) endorsement & assessment to the Gippsland areas from Lakes Entrance to Warragul. We also offer other areas on demand. 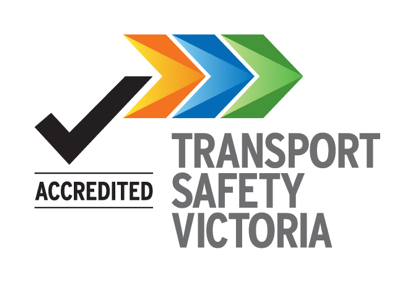 We are a part of Adams Boat Course which is a Registered Training Organisation (RTO No.41236) approved by Transport Safety Victoria and we comply with National Training Standards. For combined marine Licence (Boat) & PWC (Jetski) endorsement. Can I use the certificate as a licence? No. You must attend at a VicRoads Office and hand over the training certificate and pay the licence fees to obtain your actual licence. Prices correct as at 09/04/2019. Course fees paid to Gippsland Boat Training do not include the licence fee paid to VicRoads. 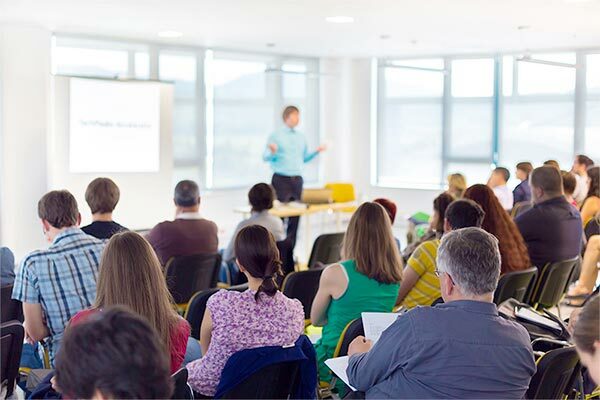 If you have a group of 10 or more we are happy to organise a course in your location at a suitable commercial venue. Transport Safety Victoria have rules for where a training course can be held. The premises must be a commercial premise, it must comply with OH&S requirements, have suitable toilets and a reasonable size to take into account the comfort and safety of students participating in the course. You will be given further training and retested again on the day of training. You can only be tested twice on any given day. No further course fees will be paid for further training and testing in the days following the course date. Further training and testing costs will be met by Gippsland Boat Training. In cases where the participant cancels their enrolment in a course offered by Gippsland Boat Training as an Approved Training Provider of Maritime Safety Victoria they will be offered a full refund of any monies paid so long as the cancellation is notified at least 48 hours prior to the commencement time for the course. If the cancellation is notified less than 48 hours prior to the commencement of the course the Chief Executive Officer may offer a refund, offer full or partial credit for another course or may refuse a refund at their discretion. In cases where there are extreme or extenuating circumstances requiring a participant to cancel less than 48 hours before the commencement of the course the participant is encouraged to explain their situation, and to provide evidence if possible, to the staff of Gippsland Boat Training. This will assist in making a case for special consideration. If a course is cancelled by Gippsland Boat Training all participants will be entitled to a full refund of any monies paid. At the discretion of the participant they may choose to instead use the refund owed to them as credit for another course enrolment. Where the certificate has been incorrectly filled in by Gippsland Boat Training staff, a replacement certificate will be provided for free with the return of the defective certificate. Applicants should also note that they will be required to meet the health requirements for operating a car, motorcycle or boat and this may include further testing where appropriate. I am under 16 years old and I currently have a PWC endorsement on my licence. Is it still valid? Yes. Existing endorsements will remain valid. Can I take the course for a PWC endorsement with a training provider before I turn 16? Yes. If you are aged 15 years you can do the course and take the test. Depending on your age, there will be a window of opportunity for you to obtain your endorsed licence on or after your 16th birthday and before the expiry date of the Certificate of Attainment (valid for 12 months). Can I take the PWC endorsement test at VicRoads before I turn 16? How does this affect supervised operation of a personal watercraft? It does not affect supervised operation. An unlicensed person can operate a personal watercraft subject to these conditions: The supervising person must be aged over eighteen years and have a general marine licence. The supervisor must be in a position from which they can take immediate control of the personal watercraft. What if an endorsed licence is issued to me in error when I am aged under 16 years? The licence will be re-issued with the PWC endorsement removed, and the endorsement fee refunded in full, as the endorsement is void. If you no longer require a licence (that is, the only reason for obtaining it was to operate a personal watercraft) then the regulations provide for a pro-rata refund of the licence fee upon surrender of the licence. 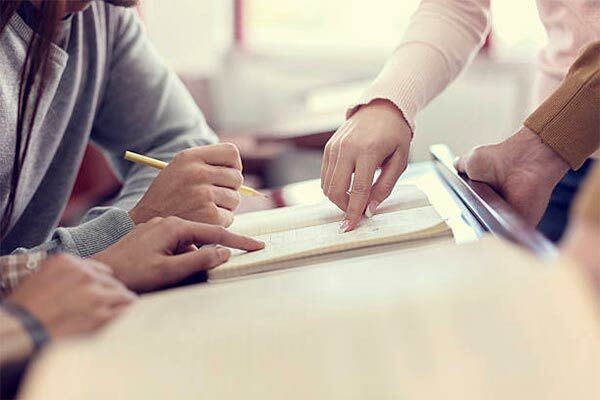 What happens if a person aged under 16 has a Certificate of Attainment from a training provider, including PWC endorsement test and the certificate is dated before the implementation of the legislation, but is presented afterwards? An endorsement will not be issued. A marine licence will be issued if required. Note: if the person will turn 16 within the validity period of the Certificate of Attainment then they can apply for the endorsement after their 16th birthday, but before the Certificate of Attainment (valid for 12 months) expires. Will a PWC endorsement be automatically issued to me when I turn 16? No. You will have to apply when you become eligible. What if a person aged under 16 has booked and paid for a course with an accredited training provider and subsequently becomes aware of their ineligibility for a PWC endorsement? Check with the training provider as soon as you become aware of this. It will depend on their cancellation and refund policy. What if a person aged under 16 has been issued with a 1 or 3 year licence with a PWC endorsement, and it expires while they are still aged under 16 years? All existing licences with endorsements can be renewed, including the endorsement. What if the holder of an endorsed licence surrenders their licence, and then make a fresh application while still aged under 16 years? Any fresh application would result in a new licence being issued, so the applicant would be treated as a new applicant and will not be issued with an endorsement. 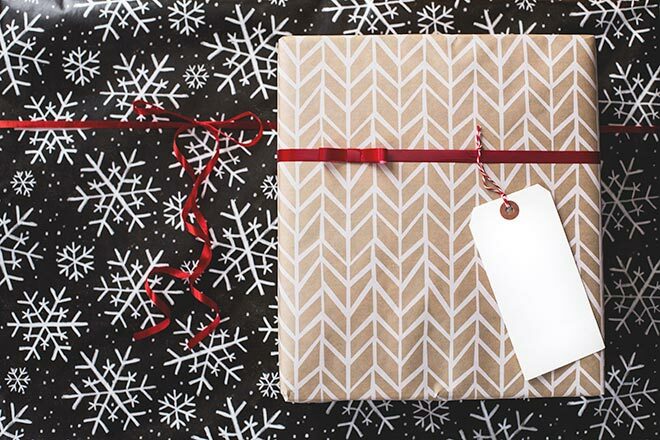 What if a new applicant aged under 16 applies for a Victorian marine licence and presents a licence issued in another jurisdiction (Australian state or territory) which allows for PWC operation? The applicant would be treated as a new applicant and will not be issued with an endorsement. Licences are not transferred from other jurisdictions – they are just used to demonstrate attainment, in the same way as certificates from Accredited Training Providers. PWC Endorsement for any applicant coming off of a restricted licence aged 16-17- $50 (please speak to trainers if applying for this prior to booking). Marine= Boat, PWC Endorsement= Jet Ski, Restricted= is any applicant under 16 years of age. Gippsland Boat Training caters for persons with special learning needs.